Smith Rock State Park, Koala Rock: Koala Rock, part of the Marsupial formation, is a solid 45-minute walk from the main parking area. But the long hike filters out the crowds. This area gets plenty of morning shade and boasts a number of five-star beginner- and intermediate-friendly routes. Try Round River, a multi-pitch 5.4 (or 5.8 if climbers follow the direct finish). 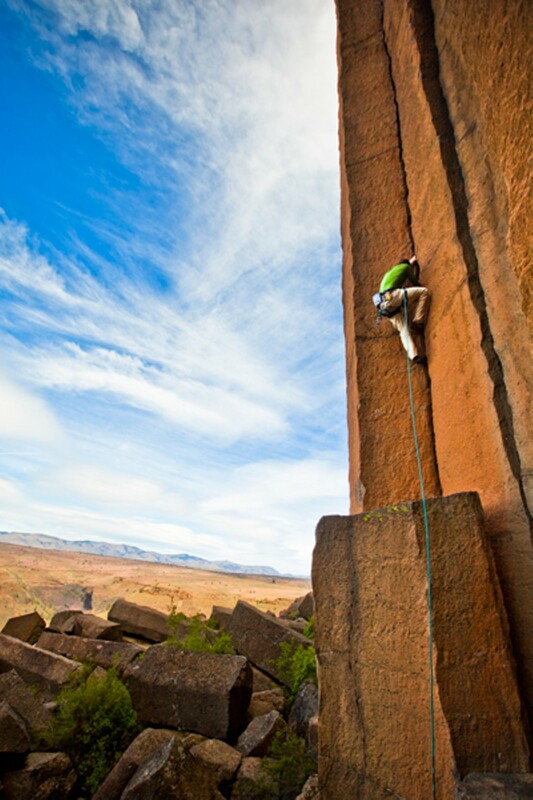 Smith Rock State Park, West Side Crags: A no-brainer, but like Koala Rock, requires a lengthy approach. Walk up and over Asterisk Pass to the west side crags, where morning shade is abundant and people are few. Classics like First Kiss, a pleasant 5.8, and Spiderman, a two-to-three pitch 5.7, are good places to start. Plan to stay until 1 or 2 pm. When the sun peeks over the ridge, head back over to the main wall, which will be cool and comfortable (and closer to the car). Smith Rock State Park, Lower Gorge: See? Smith offers plenty of respite from the brutal desert sun. The near side of the lower gorge is a cool, crack climber's playground, but also home to a number of hard sport routes. All worth a visit: Catwalk Cliff, Wildfire Wall and Cruel Sister. Bachelor Boulders and The Depot: These two bouldering sites are, one, in town and, two, get afternoon shade. The long horizontal traverse at the Bachelor Boulders, near Mt. Bachelor Village and just feet from the Deschutes River, are perfect for post-work chill-out. Directly across the river and equally protected from the sun is The Depot, home to more classic problems like Ginsu (V5) and The Wizard (V6), as well as moderate highballs like The Big Easy (V1). Access both areas via the River Trail near the Bill Healy bridge. Trout Creek: Now that golden eagle nesting season is over, Trout Creek is 100 percent open to climbers (contact Friends of Trout Creek if interested in helping to monitor the endangered birds). Splitter cracks are what make Trout special. And even though the area is better known as a winter climbing destination, this desert spot offers decent shade until midday. Tape up those fists and get out there! Gold Rush is a 5.10 must-do. Balloons Over Bend is coming, and you should be on board! Learn to get air by following these simple steps!